The ShotLock Handgun 200M Solo-Vault is the world's most secure Solo-Vault for home defense pistols and handguns. 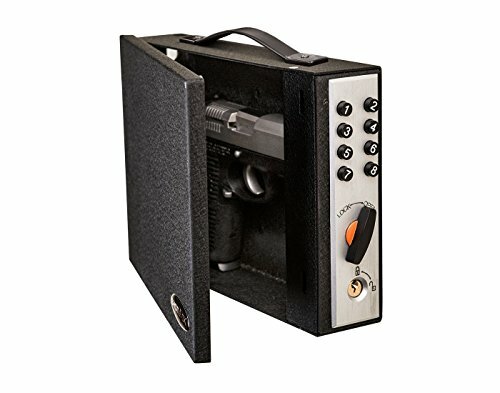 Constructed of military grade 14 gauge steel, the Handgun 200M Solo-Vault secures most pistols and handguns in a convenient location in your house, work location, or vehicle, making sure your firearm is close, secure and ready. View More In Gun & Ammunition Storage & Safes. If you have any questions about this product by ShotLock, contact us by completing and submitting the form below. If you are looking for a specif part number, please include it with your message.